An image of the West Maui Loop bike route." Cyclists visiting Maui seeking road rides beyond the Road to Hana or the 10K foot climb up Haleakala are always happy they discovered the West Maui Loop bike ride. Hearing a rider excitedly describing the waterfalls they saw or whales jumping along the north shore when returning their road bike rental always leave us grinning. While the ride is a bit shorter than cycling to Hana and back, the 63 mile loop around West Maui provides equally scenic riding and the opportunity to avoid backtracking as the ride circumnavigates West Maui. With a little vertical climbing to challenge even the most seasoned performance road bike riders, we often recommend the West Maui loop ride to cyclists looking to get acclimated with a fun day of cycling on Maui! 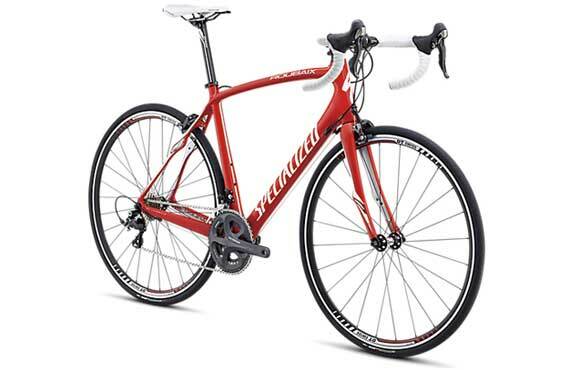 Specialized road bike rentals are ideal for the West Maui Loop. Though a rider could begin the West Maui Loop ride from any of the many resorts between Kapalua to Kaaanapali, our description of the ride begins at our bike shop in Lahaina, West Maui Cycles. After leaving the bike shop, head north along the Honoapiilani Highway out of Lahaina. You’ll quickly ride by Wahikuli Beach Park on the oceanside and Hanakao’o Beach park just before Kaanapali resort and only a few miles from the bike shop. If you forgot anything you’ll need for the ride, stop by your hotel in the Kaanapaali Resort. After passing the Kaanapali golf courses, if time permits and you prefer riding off the highway you’ll want to take the left at the lower Honoapiilani road in Honokawai. You’ll know you are at the intersection for lower road when you see the Honua Kai resort to the left and a waste water treatment plant on the right side of the highway. The lower road is a paved two lane road for biking through Kahana, Napili and other West Maui neighborhoods before eventually reaching Office Road in the Kapalua Resort. Office Road reconnects with the Honoapiilani Highway where the bike route rejoins Highway 30. For reference, the ride distance between West Maui Cycles in Lahaina and the junction point of Office Road and the Honoapiilani Highway in the Kapalua Resort is approximately 9.5 miles. Soon after leaving the Kapalua Resort the highway narrows into a two lane paved road perfect for coastal biking around Maui. A Maui bike ride climb at Mr Steepy in West Maui. Cycling out of Kapalua Resort, continue riding past the lush greens and fairways of the famed Plantation golf course. If a winter swell is in, pause to watch the surfers at one of the scenic overlook perched above Honolua Bay. The bike route follows Highway 30 around West Maui through less developed rural countryside resembling upcountry Maui more than the resorts at Kaanapali. Continue cycling until you reach Honokohau Bay and Mr. Steepy, the uphill climb out of the valley. This is the steepest climb on the bike route with an approximate 8.6% grade per Strava. Be ready as you’ll need to climb the 282 foot elevation gain in about .6 mile. At this point of the West Maui Loop bike route, approximately 14.0 miles from the bike shop in Lahaina, Honoapiilani Highway becomes Highway 340 or the Kaheili Highway. Another two miles beyond Mr. Steepy is the Nakalele Blowhole. The ride continues along the ocean through the rugged north shore around West Maui. If Mr. Steepy was more challenging than you anticipated, stop for banana bread or a smoothie in the old town at Kahakuloa Bay. Shoot a photo of yourself with your bike rental and Kahakuloa Head in the background, approximately 24 miles from West Maui Cycles in Lahaina. A good halfway point of the West Maui Cycles Loop ride is the Mendes Ranch. From there, the cycling route descends into the old Maui town of Waihee and eventually the more modern Wailuku town. You’ll want to get back on the Honoapiilani Highway to ride from central Maui over to Maalaea for the return ride to West Maui. From Maalaea Harbor, you have another 15 miles of scenic road cycling to Lahaina. You’ll ride along the Pali (cliffs) before reaching Papalaua and Ukumehame Beach Parks for more shoreline riding into Olowalu. If you need a swim before returning your rental bike in Lahaina or biking to Kaanapali, stop at Launiupoko Beach Park (4 miles to Lahaina) or Puamana Beach Park at the entrance to Lahaina. For cyclists beginning their West Maui Loop ride at the bike shop in Lahaina, from the hotels in the Kaanapali Resort or from any of the other West Maui accommodations between Kapalua and Lahaina, you’ll want to start the ride in the morning riding clockwise to arrive in central Maui before 1 pm to ensure afternoon trade winds are at your back for the return ride to West Maui. If you are beginning the ride in South Maui or central Maui, you’ll probably want to ride counter clockwise with a goal avoiding late afternoon headwinds by finishing the ride before the trades start pushing across isthmus in central Maui. And another West Maui Loop bike video:Thanks to Video by Jamie Barrett for posting the video. Read a bit more about the West Maui Loop bike route and a few other Maui road bike rides. All West Maui Cycles bike rentals include a helmet and lock. Performance road bike rentals include a tire repair pack and pump. You’ll want to bring your cycling shoes and cleats! Our full suspension mountain bike rentals and performance road bike rentals include pedal changes. Questions about the West Maui Loop bike ride? Answers to the Most Common Questions about the West Maui Loop bike ride. Or, leave a comment below.